The farcical procession of crises that beset the coalition government’s Universal Credit programme since its inception five years ago obscured a more fundamental reason why it was flagging. It was critically dependent on another computer system being developed simultaneously by a different government department – a system of momentous proportions and unrealised controversy. Yet while this other one floundered, Universal Credit copped the blame. The other computer system was Real Time Information (RTI), which HM Revenue & Customs has used to establish live links between its tax databases and the accounting systems of every employer in the country. Universal Credit was so dependent on RTI that it simply would not work without it. It was to give people social security payments that adjusted to their individual circumstances. It would top up people’s wages so they could take low paid jobs with little security without living in poverty. But it could only do that if it could track changes in their income as it happened – in real time. That’s what RTI would do. RTI had fundamental problems from the start. These became public in the summer of 2011, while parliament was scrutinizing the coalition proposal to build Universal Credit in two and a half years. Yet the Major Projects Authority, which the coalition government set up at the Cabinet Office to fulfil its election promise to stop big IT projects going wrong, and apparently to distinguish it from its incompetent opponents, neglected to mention this when it was called to make a sober assessment of Universal Credit’s chances of success. 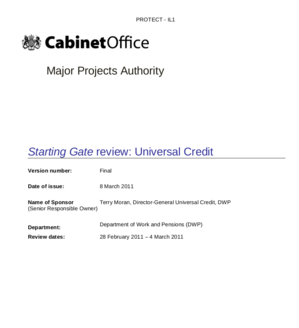 The day before MPs started debating whether to build Universal Credit on 9 March, the MPA gave the project an unreserved thumbs up in a report supposed to assess its prospects. Universal Credit was critically dependent on RTI, it did admit. But it neglected to mention the problems. HMRC’s biggest problem with RTI was Universal Credit’s October 2013 deadline, which it was forced to adopt as its own. It meant rushing RTI. But it was physically impossible to rush it. It involved reforming the entire income tax system – every person’s pay packet, every accounting software supplier, every business, every pension fund and the whole electronic banking system: the very skeleton of the economy. It was quite unlikely to be done by October 2013. 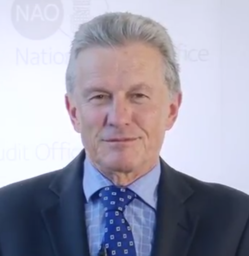 Three months after the MPA said how impressed it was with all this, HMRC’s Annual Report and Accounts suggested this might be more difficult than the MPA had let on. HMRC was still trying to resolve data quality problems derived from a replacement income tax computer system it implemented in 2009. 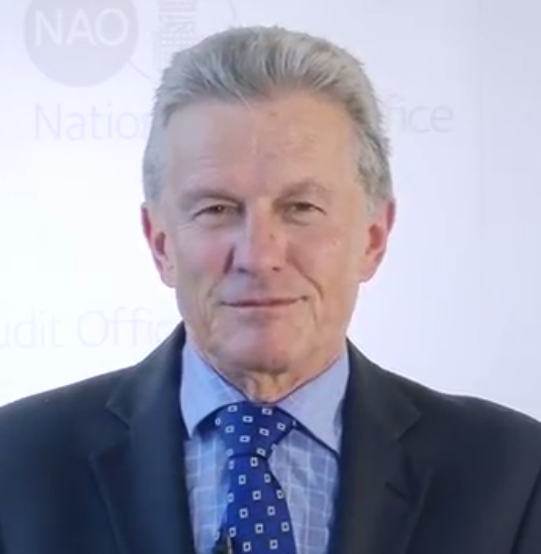 Those problems would be “critical” for Universal Credit, Amyas Morse, head of the National Audit Office, wrote in HMRC’s June 2011 report. RTI needed data feeds from employers to get realtime updates about people’s incomes. That would only work if employers’ payroll records would square off against RTI and HMRC’s income tax database. That was only possible if the data quality was good – if names and codes were consistent, for example. Only then could HMRC fulfil its side of the bargain, which was to get every employer in the country connected to RTI by October 2013. And only then could RTI feed Universal Credit the realtime earnings data it needed to calculate people’s social security payments. This was going to be a challenge, said the auditor. Employers would nevertheless be mandated to join RTI October 2013, in stages from 2012 when HMRC planned to start piloting the system. Small and medium employers would go first. “All employers will be under RTI from October 2013,” he said. But it soon emerged that employers wouldn’t meet the deadline. In June 2012, three months after parliament finally approved Universal Credit, Morse wrote in HMRC’s June 2012 Annual Report and Accounts that payroll firms didn’t think businesses and banks had enough time to adapt their own systems to submit pay data to RTI. The Universal Credit farce was just starting to get into full swing as the true extent of HMRC’s problems emerged. The farce was largely due to other things which, despite all the attention paid to Universal Credit by press and parliament, were overlooked. More to follow on that. Suffice to say that one of the reasons Universal Credit wouldn’t have been able to roll out as planned in October 2013 was because HMRC’s RTI wasn’t ready. HMRC denies this is so. It insists that RTI was “substantially completed” in October 2013. And that was good enough for Universal Credit which, HMRC did not add, was then itself cranking up so slowly that HMRC’s problems would not have been any cause of alarm, assuming they were not actually cause of delay. Still, HMRC insists (see its statement in response to questions below*) that RTI is now working at almost full capacity. So this is all immaterial anyway. More to follow on that too.